To change your Ning Network’s layout, just go to the Design Studio icon at the top left of your network bar. 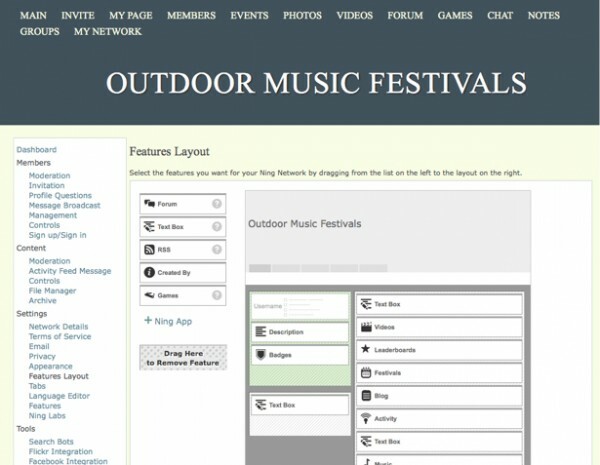 Click on the Layout panel to see different layoutÂ options to arrange the columns, header and navigation tabs. If you decide on a two-column layout, please note that features and content from the missing column will be shifted to the middle column. Your Features Layout page will also reflect this change. 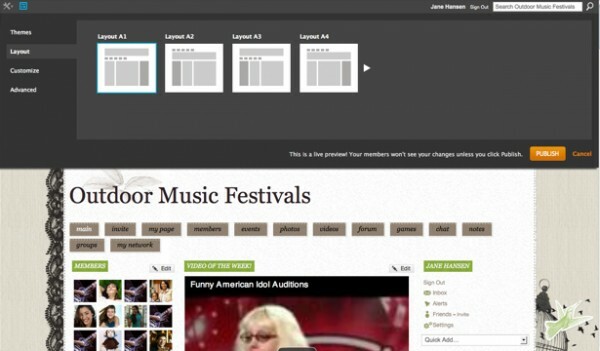 If you later go back to a three-column layout, you will need to drag and drop features back into that third column using the Features Layout page. If you have any custom CSS, pleaseÂ bear in mind that the code may need to beÂ updated to point to theÂ new location of your content.